BBC Studios (BBCS) has appointed one of its senior executive producers to head of continuing drama. 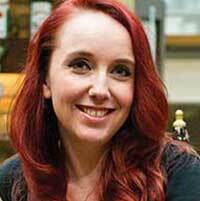 Kate Oates takes the role having overseen primetime dramas including EastEnders, Holby City and Casualty. Her new post adds new shows such as Doctors, River City and Pobol y Cwm to her remit. Before joining BBCS in 2018, Oates produced Coronation Street for UK commercial broadcaster ITV and before that worked on the channel’s soap Emmerdale. BBCS appointed former Channel 4 deputy chief creative officer Lee as its director of content last year.